Brookfield, Connecticut is the perfect place to live, play, raise a family and run your business. 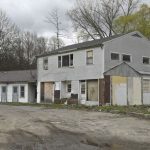 Home / Brookfield In the News / Brookfield, Connecticut is the perfect place to live, play, raise a family and run your business. Brookfield, Connecticut is the perfect place to live, play, raise a family and run your business. 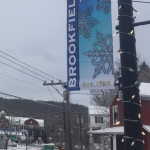 A 20 square mile town, located in Fairfield County in southwestern Conn., Brookfield is a quintessential New England town. Strategically located between metropolitan areas of NYC, New Haven, Hartford and Boston, make Brookfield an appeal­ing location for industry to move their products with ease. Vehicular access exists along Interstate 84, running east west from Pennsylva­nia through Brookfield to Hartford onto Boston. US Rtes. 7, 25 and 202 intersect 1-84 within Brookfield. It’s convenient proximity to interstate highways, air and rail transportation along with a highly skilled work force make Brookfield a great place to do business. Read full article.